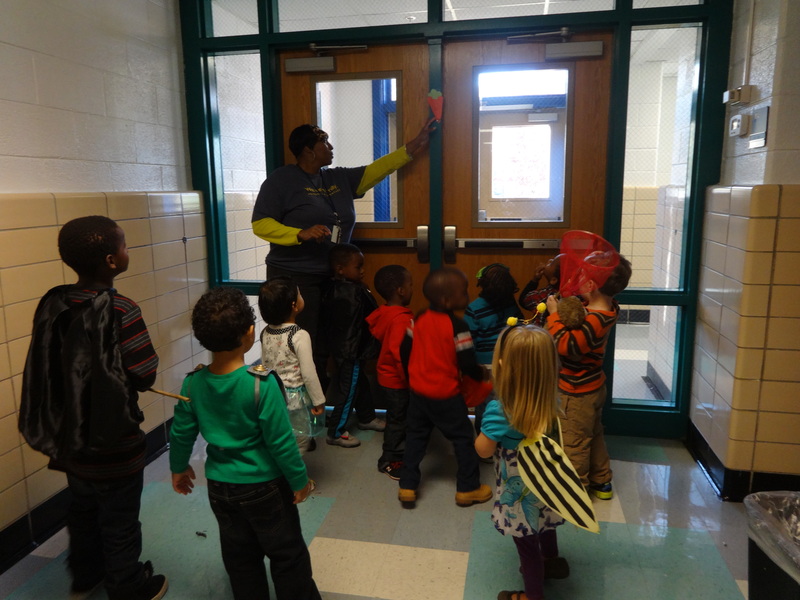 October is always a busy month at Johnson, but this month feels like it has been our busiest yet! From special guests and reading events to Creepy Carrots and engineering tools, October has been a blur. 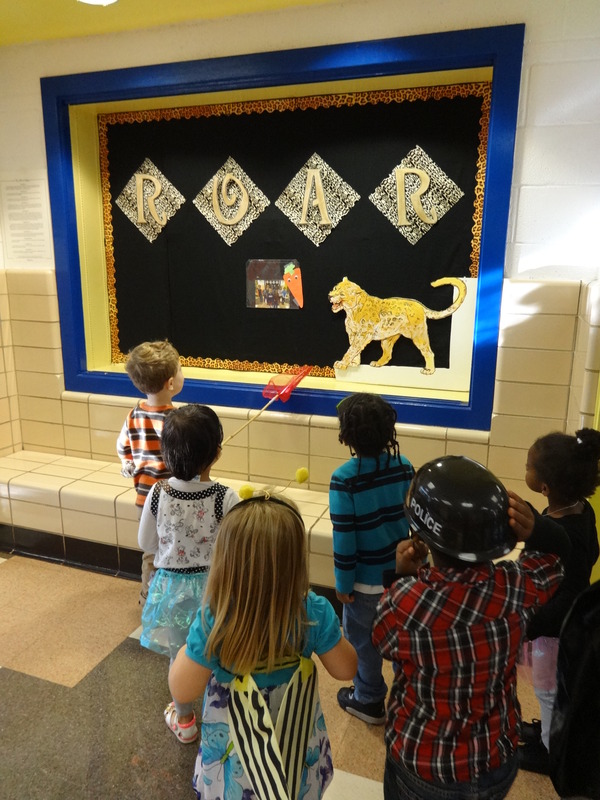 Take a look at some of the amazing things we’ve been doing in the Learning Leopard Library! 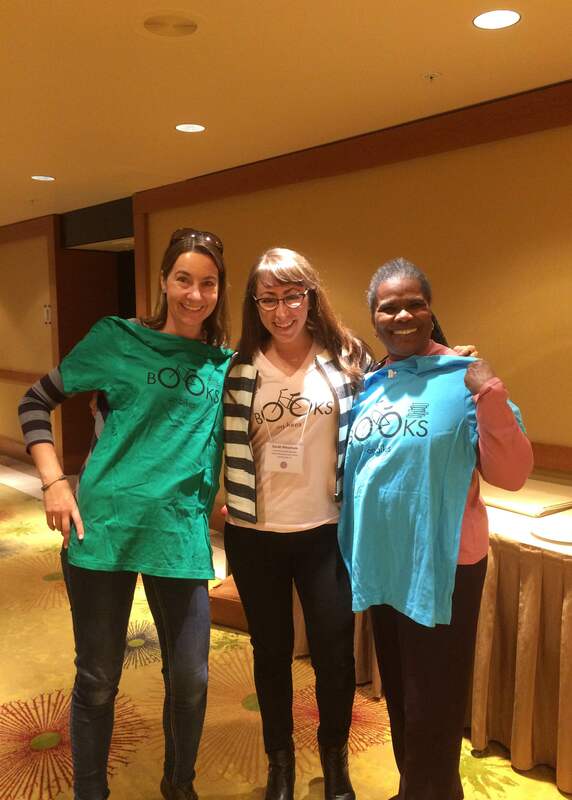 This time last month, I was in Seattle, Washington in a room full of the best librarians from around North America and Canada. 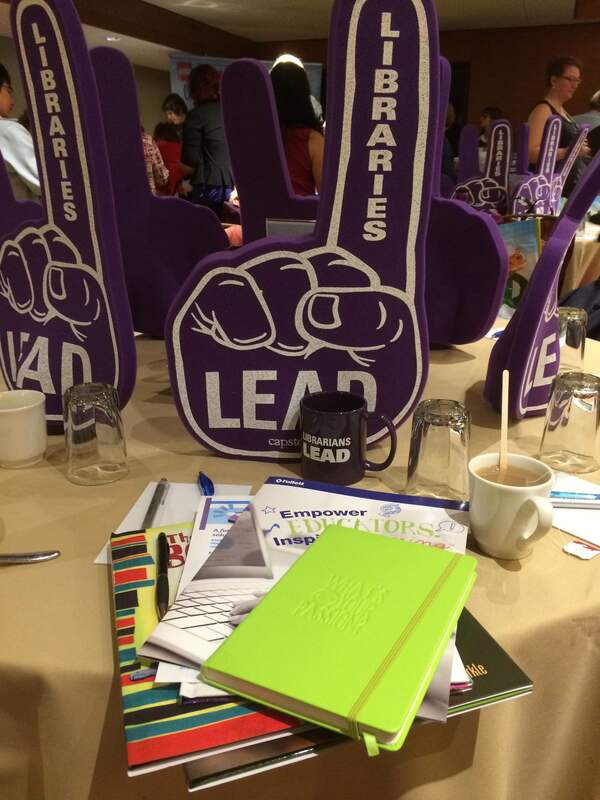 This fantastic opportunity to learn from the leaders in the library field gave me so many new ideas and so much inspiration! 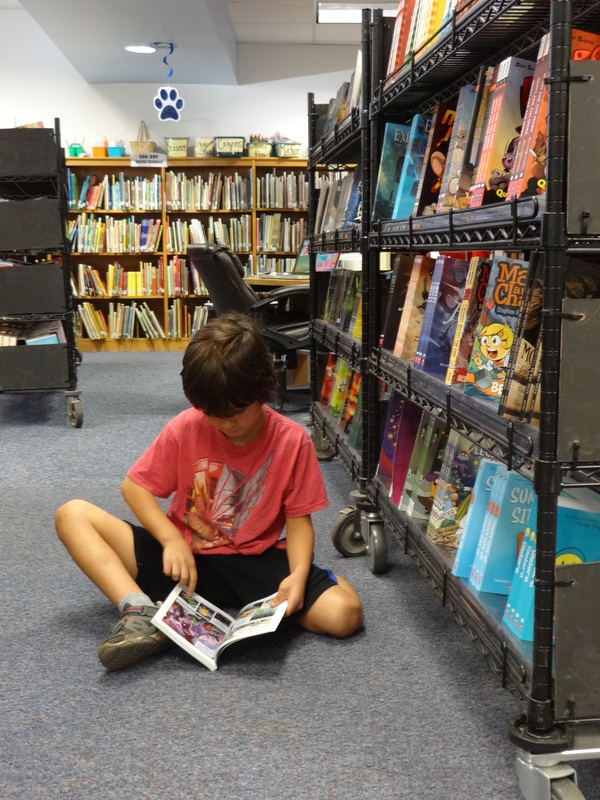 I loved hearing about how school library media specialists are making a difference in their schools and creating engaging, flexible spaces for their students. 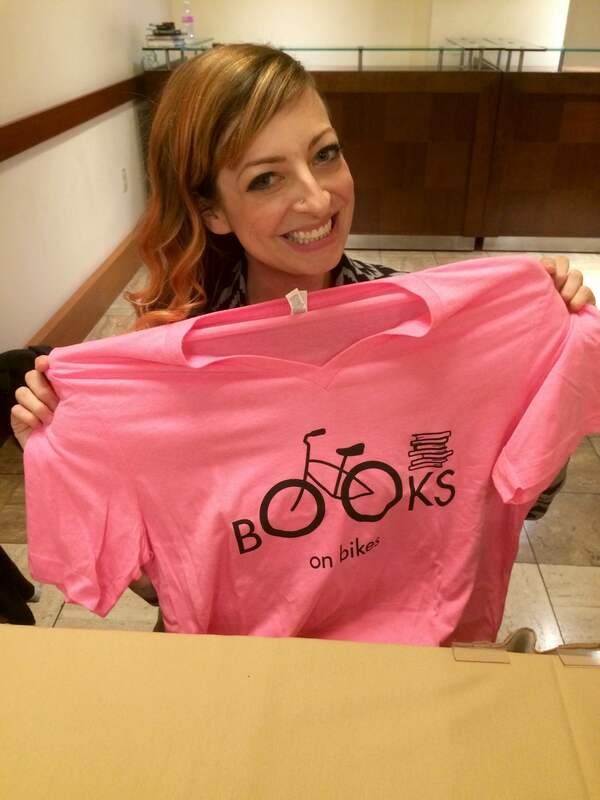 It was also an excellent opportunity to share the message of the Books on Bikes organization to library movers and shakers to take back to their own hometowns. 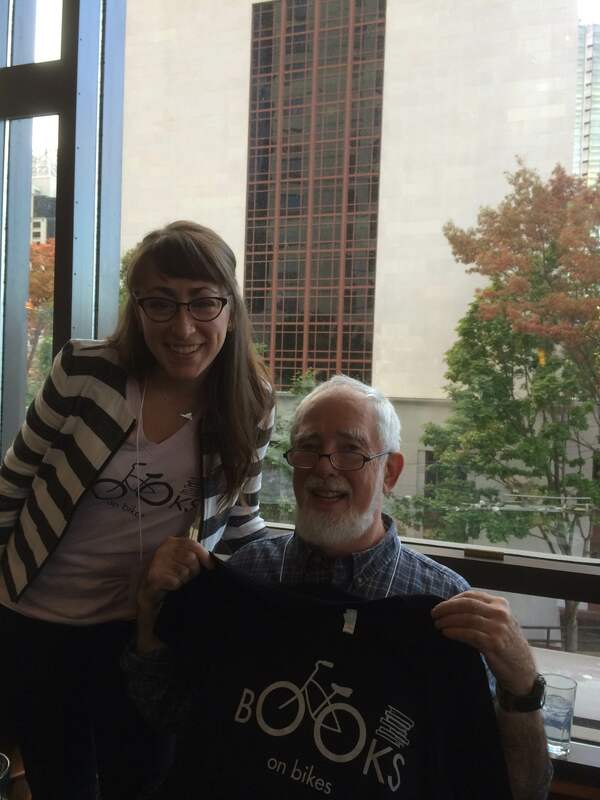 Above you can see me sharing Books on Bikes tshirts with famous authors like Jack Prelutzky (the inaugural winner of the Children’s Poet Laureate award! 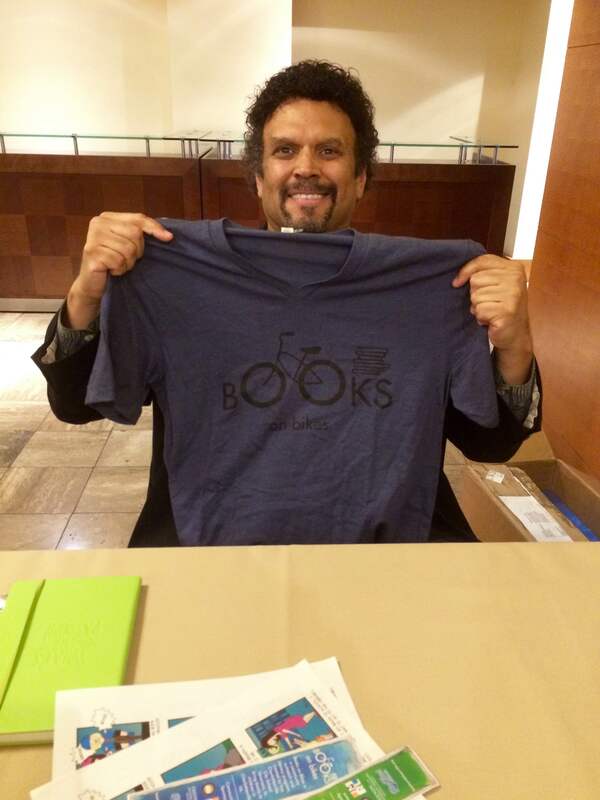 ), Neil Shusterman (on the short list for this year’s National Book Award! ), Susan Nielsen, and Leslye Walton. 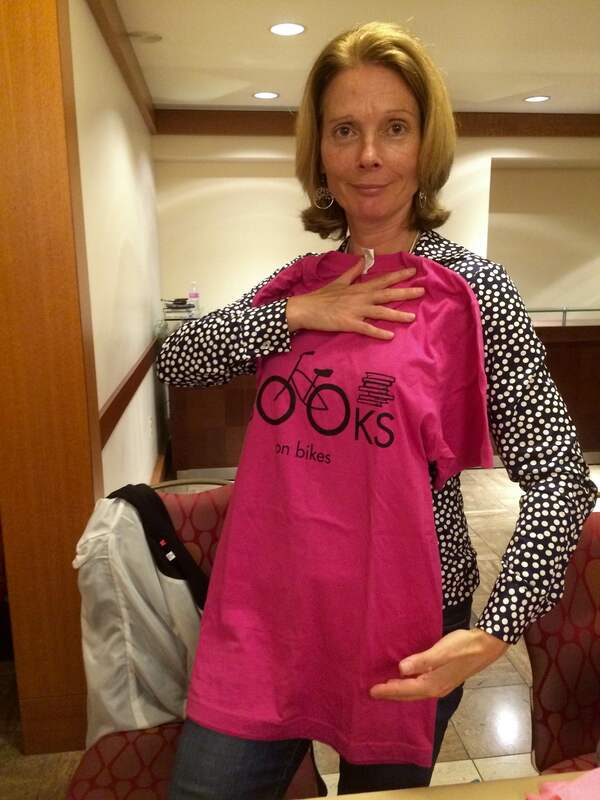 Plus a few librarians from Texas, Maine, and Washington state, who are eager to start their own Books on Bikes chapters this summer! 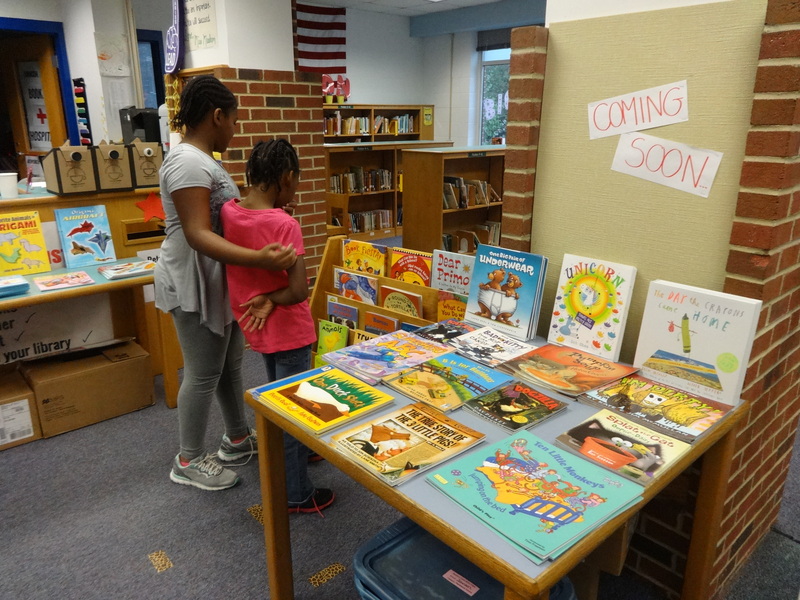 It may seem like ages have passed, but our Fall Book Fair was only a few weeks ago! The Bedford Falls Book Fair saw huge amounts of traffic and record-breaking sales. I was lucky enough to work with a wonderful group of parent volunteers that made the experience so much fun for Johnson’s students. 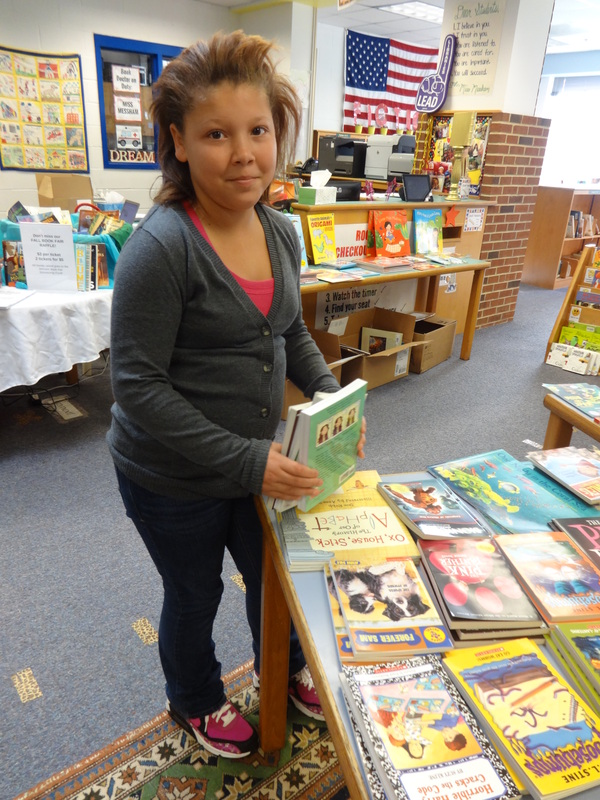 Thank you to everyone that helped to make the Fall Book Fair possible! 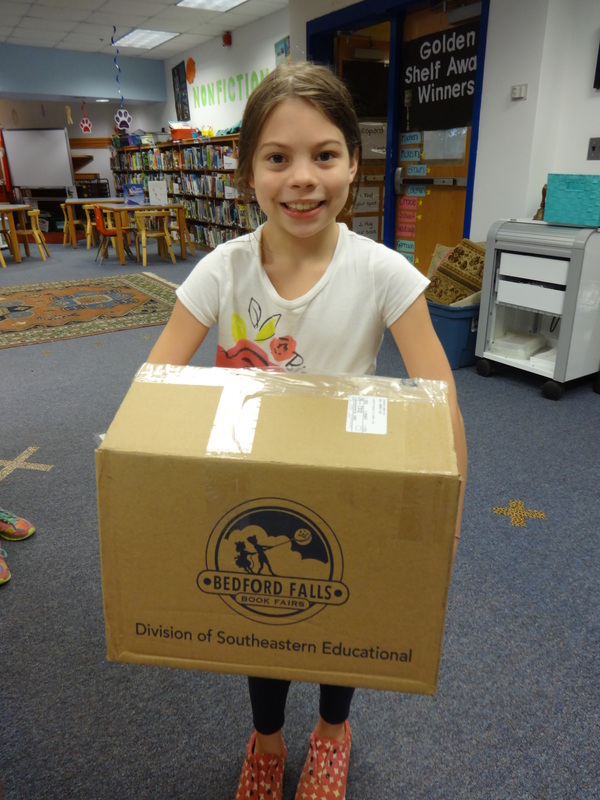 Along with the Book Fair comes my favorite project… Book Fair Scholarships! 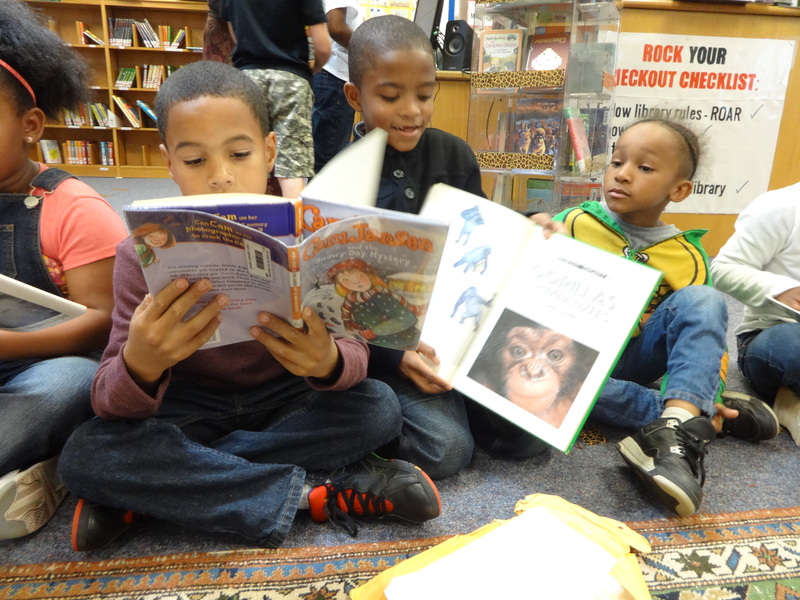 Thanks to our highest raffle ticket sales ever, generous anonymous donations, and teacher sponsorship, we were able to fund 88 Book Fair Scholarships this year! 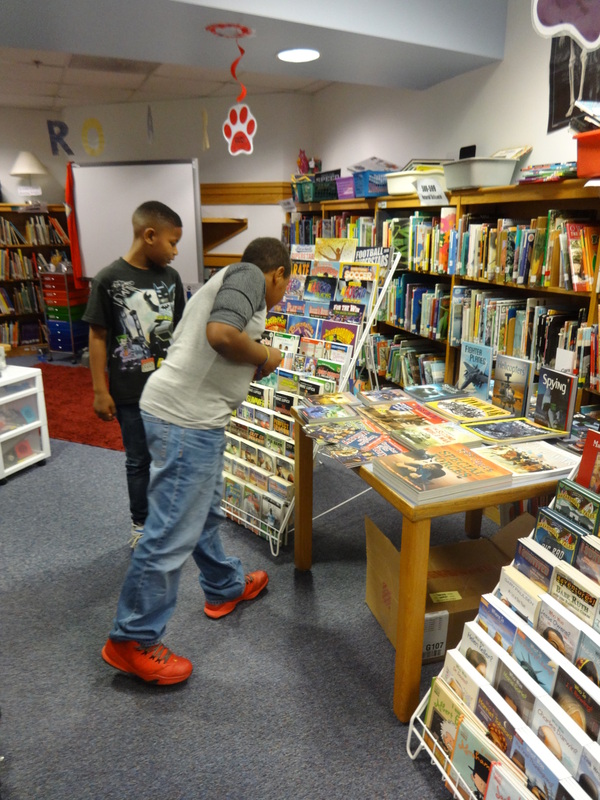 That’s more students shopping, reading, and sharing the Book Fair Magic than EVER before. We couldn’t have done it without you! 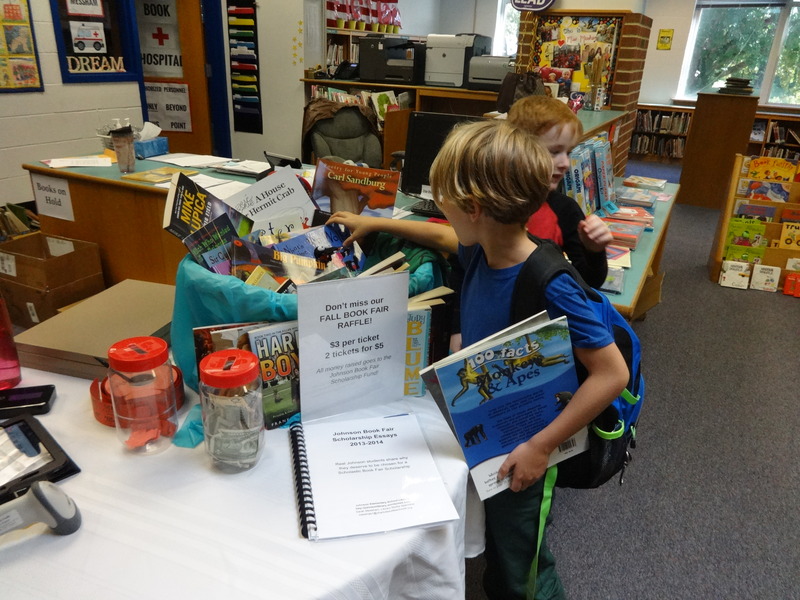 One last Book Fair update… this year, we raffled off our biggest Book Fair Raffle basket EVER! 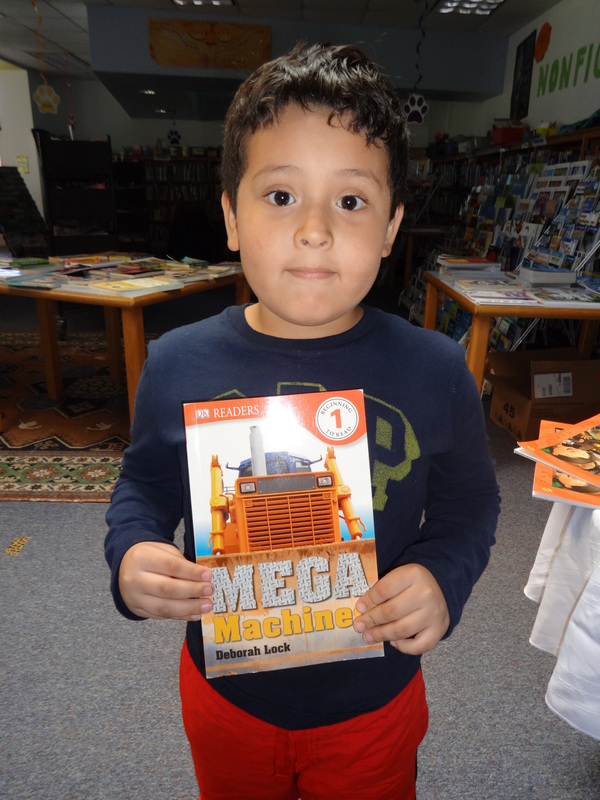 With more than 25 books, a selection of games and prizes, and a Books on Bikes t-shirt, the competiton was fierce. And we sold a record 75 raffle tickets this year… WOW! Congratulations to our winner, Ananda! 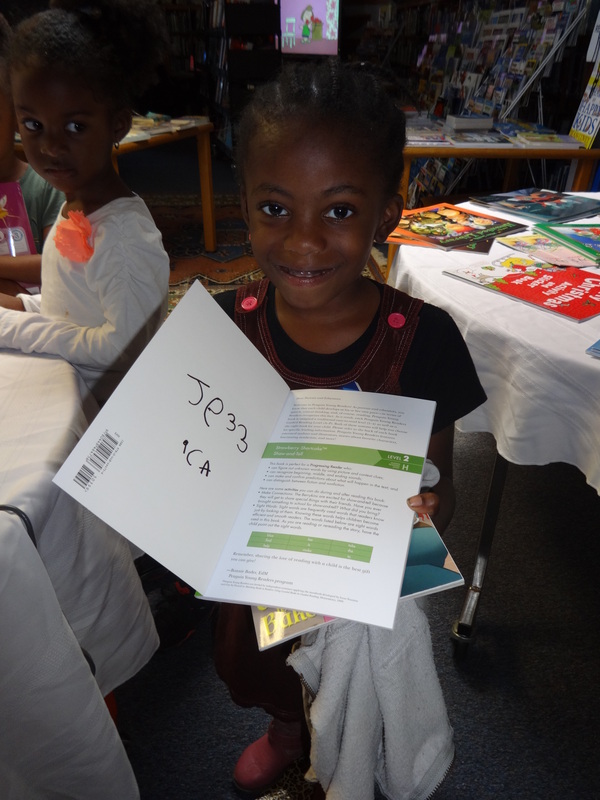 Ananda is such a huge reader and supporter of our library, I know that those books will be well loved and put to good use. Hooray Ananda! What do librarians do on Professional Development Days, anyway? We get together to help improve our library programs, of course! Sometimes our Professional Learning Community discusses curriculum, new best practices in reading and literacy, or to present about fun literacy updates at our schools. On this particular PD day, we got together to learn about the art of book mending. 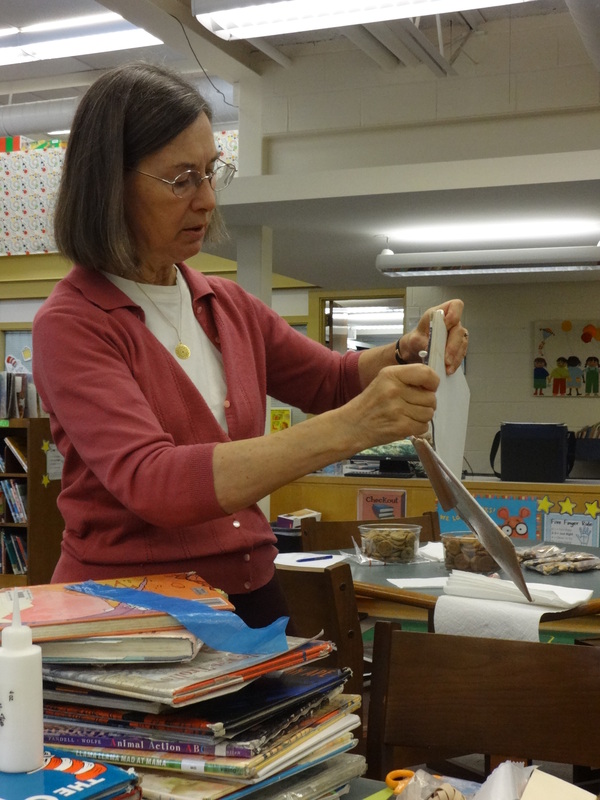 Using a kit of specially designed glues, tapes, and tools, our instructors from the Jefferson Madison Regional Library can take even the most damaged book and make it look brand new again. This Book Doctor, however, still has some training to do. It was wonderful to get some hands-on experience in book mending, and I look forward to getting some of our recovering books out of the Book Hospital and back into students’ hands! Thank you to JMRL for the awesome demonstration! 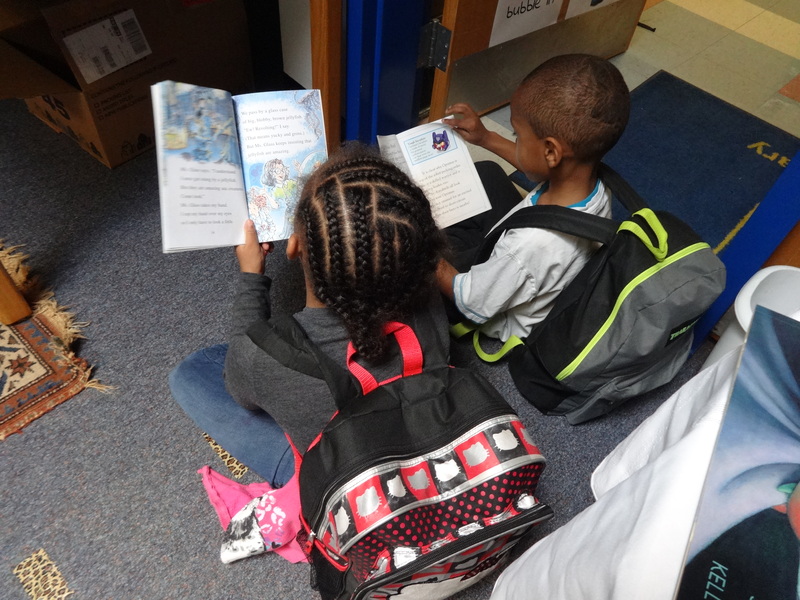 As always, the library has been full of readers showin’ off their stuff. 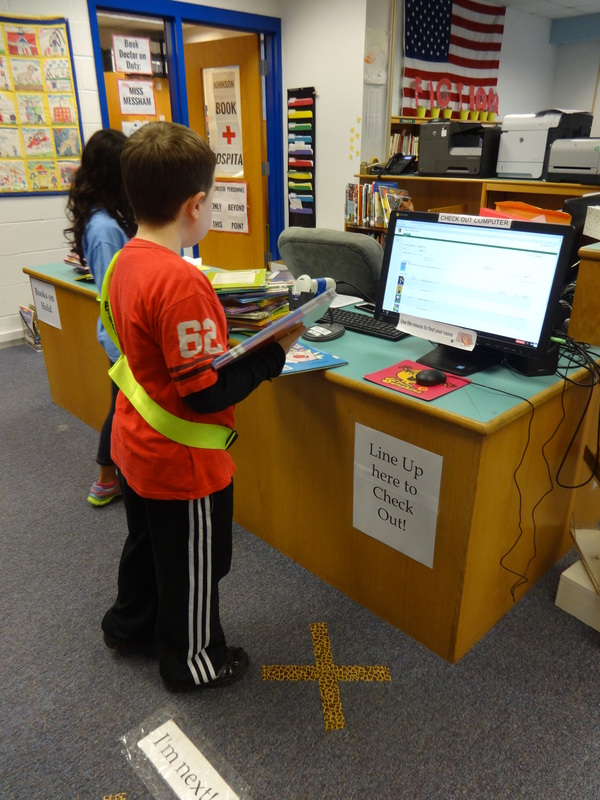 From Dance Mat Typing to Kahoot to exploring chapter books and everything in between, the library is busy and bustling every hour of the day! 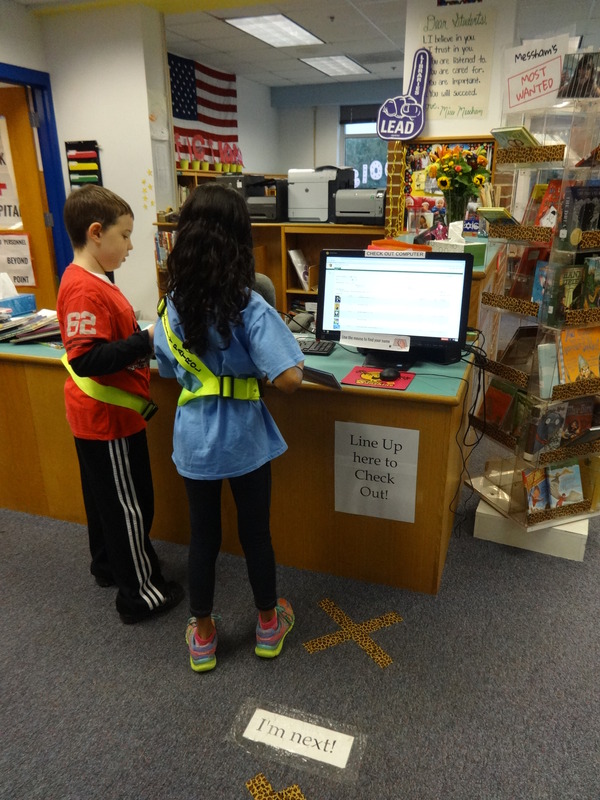 Chase and Sahana, my Safety Patrol experts, are busier than ever. In addition to assisting with open check out in the mornings, they have also started preparing and delivering educational resources to teachers. 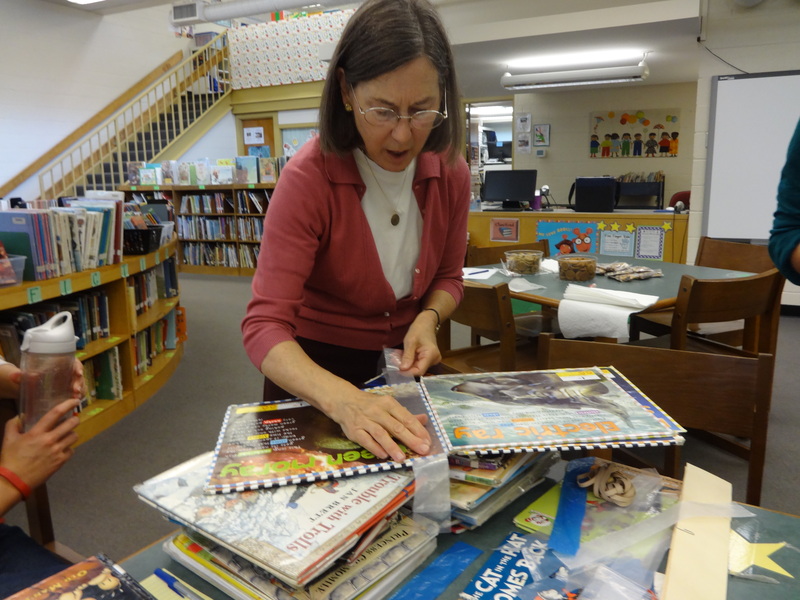 Here, they check out a pile of books on economics for Mrs. Schaaf to use with her students in her classroom. This big pile was hand-delivered just a few minutes later! 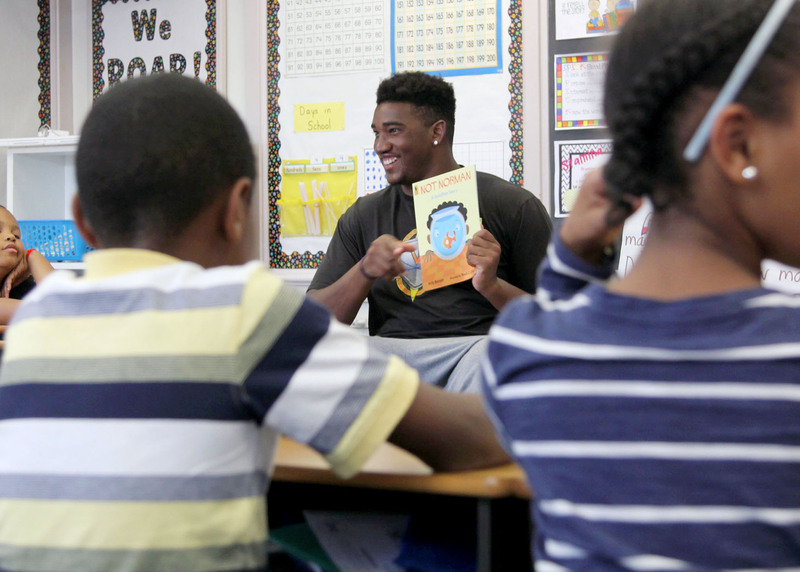 Thursday, October 22nd, Johnson joined the national Read for the Record celebration by sharing this year’s selected Read for the Record story, Not Norman, to every student in the building. We had a little bit of extra help to celebrate from our friends at the UVA Football Team! Find out all about our special day here. 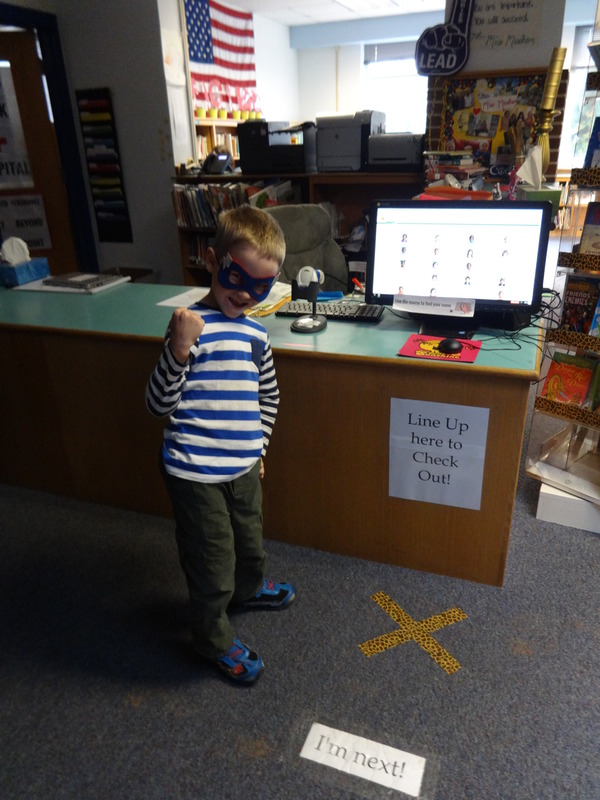 Second graders are continuing their Library Superhero training, and you can tell they are really taking it seriously. In the photos above, Super Leo acts as my Sidekick for the day, assisting patrons at the computer and checking the library for evil-doers; and Keira surprised me by showing up to library class in her own personal cape! 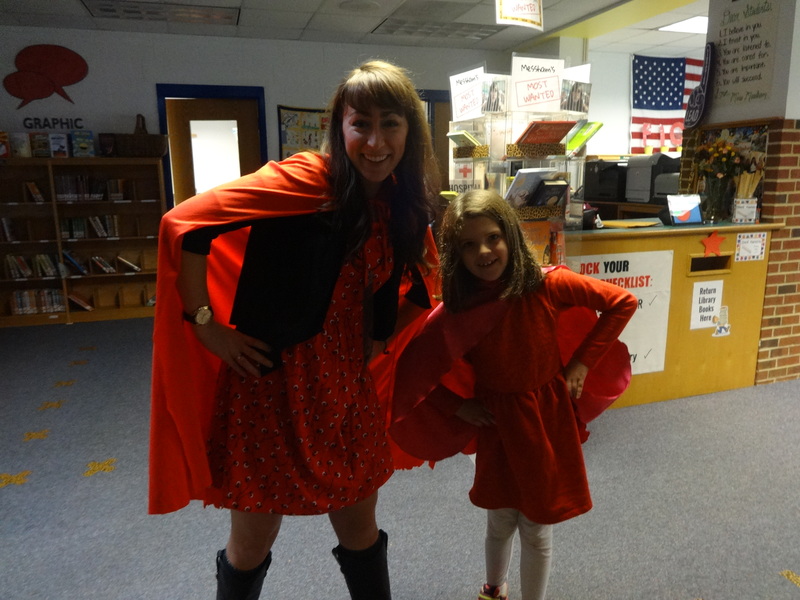 Library Superhero twins! Have you heard? Engineering is coming to Johnson! 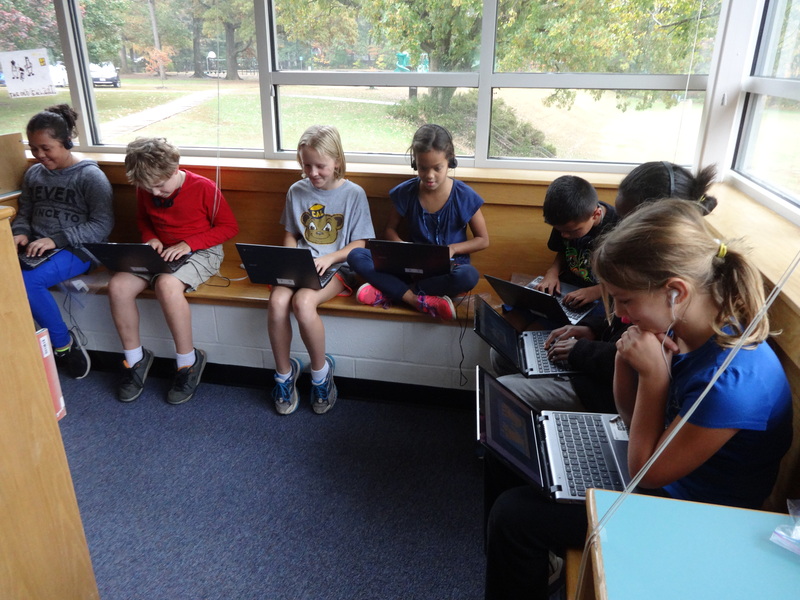 Last week, I posted a new project to DonorsChoose to bring an Engineering Club to our students. Before I even had a chance to post is on the blog, it was fully funded! 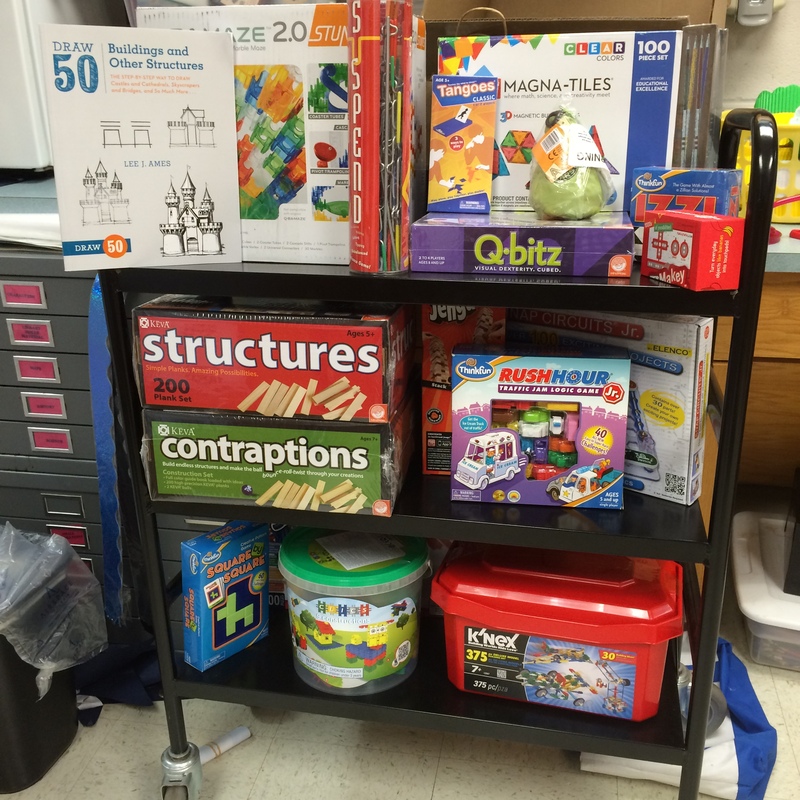 Resources have been arriving all week, and I’m having a blast getting to know the materials and preparing them to share with students. I am working with engineering students from the University of Virginia to create a custom curriculum to challenge, excite, and inspire our students starting in January. Stay tuned for updates about the coming Engineering Club – and thank you so much to all of the Johnson families that made this project possible! 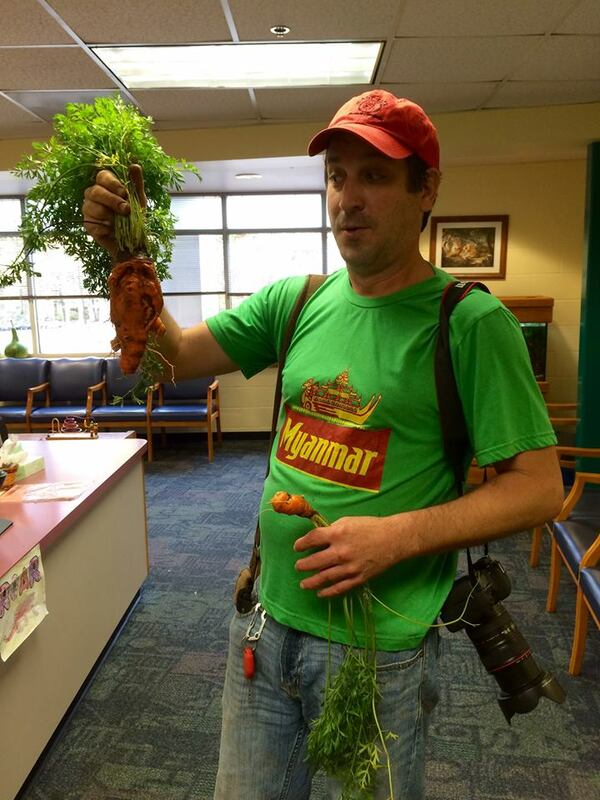 For the second year in a row, Creepy Carrots busted out of the library and took over Johnson! 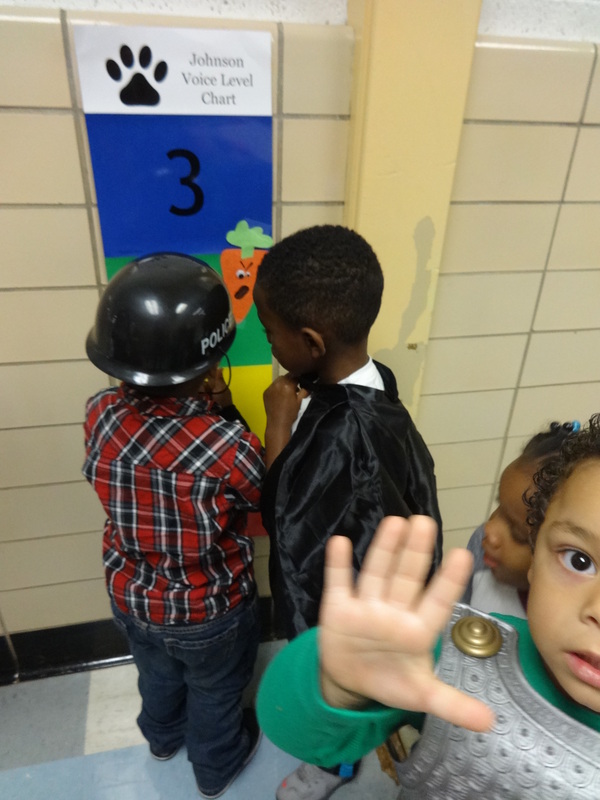 Today, a brave pre-k class joined me on a carrot hunt to track down all of the escaped Creepy Carrots. Together, we counted SEVENTEEN CARROTS wreaking havoc all over the building! 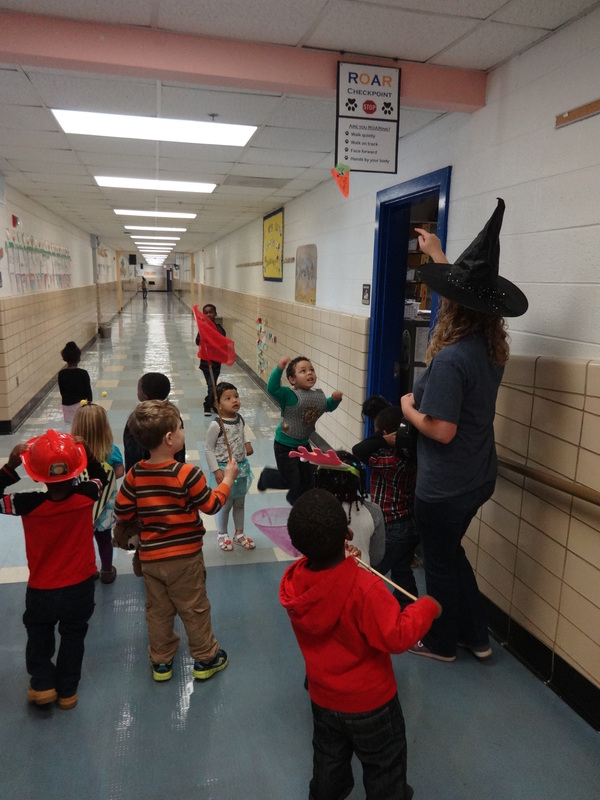 It was a great adventure for this pre-k group, and such a magical way to bring a favorite story to life for all Johnson students. Later that day, Mr. Harden found the creepiest carrot of all in the Johnson Garden! I had a great laugh when he brought me this monster. I might just have to keep this guy as my creepy carrot mascot. 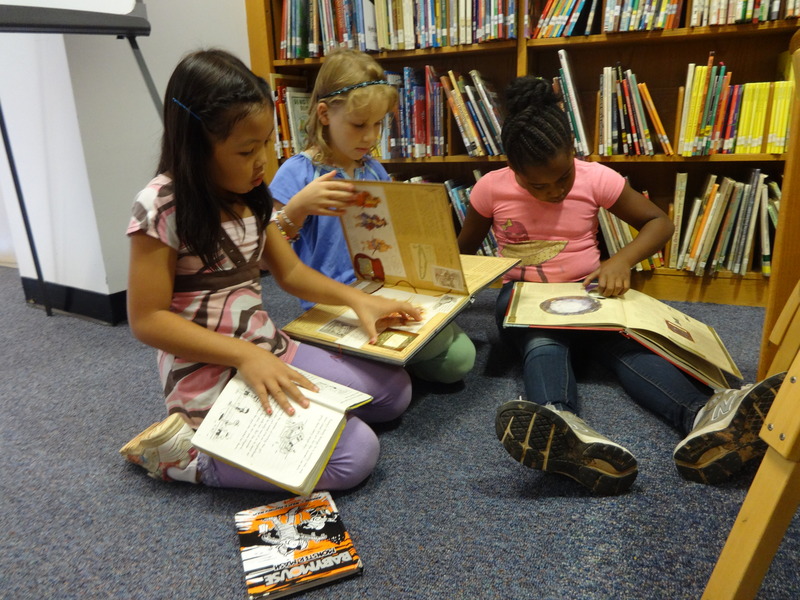 This has been a fun and exciting month in the Learning Leopard Library with so many great experiences for Johnson students. And none of this month would have been possible without YOU! 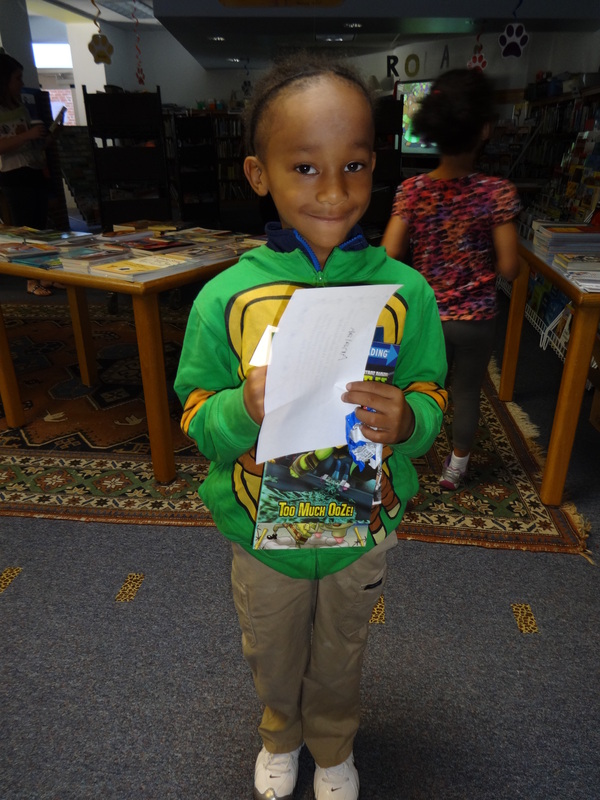 Thank you for being a part of our library program and for making these wonderful experiences possible. I love working with you on the Johnson Elementary Team and am so happy to be a part of this wonderful community. Wishing you a safe and fun Halloween weekend! See you next week!